One of the UK’s fastest-rising rock acts chart a course to Merseyside, and Getintothis‘ David Hall looks forward to what they have to offer. 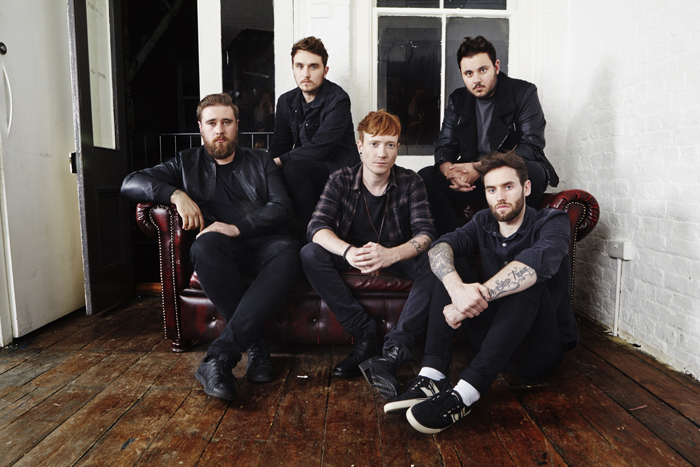 With two studio albums and a quickly-multiplying fanbase, Cambridge alternative rock five piece Mallory Knox have their sights set on a Liverpool O2 Academy gig on April 1. No fooling. With a new album in the bag, titled Wired and slated for a March 2017 release, the quartet hit the road on an extensive UK tour next year to win new fans across the land. Support on the tour comes from two other young up-and-coming bands on the UK alternative scene, in the shape of fellow Cambridgers Lonely the Brave and Glasgow three-piece Fatherson, who have enjoyed support slots with the likes of Frightened Rabbit, Panic! at the Disco, and Twin Atlantic. The tour is set to be one of the hottest tickets in town with Mallory Knox headlining. Their last album forged into the UK Top 20, and with a heavier sound set to be showcased, their fans will be eagerly anticipating their arrival. Mallory Knox play Liverpool O2 Academy on Saturday, 1 April 2017 with support from Lonely the Brave and Fatherson. Doors 7pm, tickets on sale now. Previous ArticleCosmic Slop #90: Should we cut Kanye West some slack?